MoM150 Tag UHF for special applications to be fixed on metal surfaces. The AGX MoM150 Ultrathin labels are designed for on metal tag functionality, within a small, low profile, easy to deploy label. Optimized for thermal barcode printers, the AGX MoM150 enables low cost and hassle-free RFID deployment. 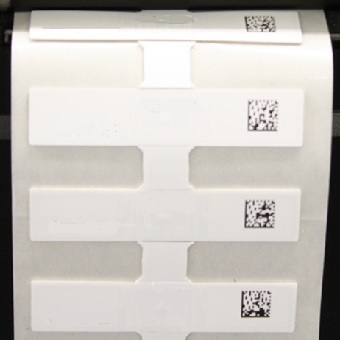 The Ultrathinlabels redefine the standard for repeatability for on and off metal tagging applications demanding a very small low profile tag.